True garden performer with no breaking apart. 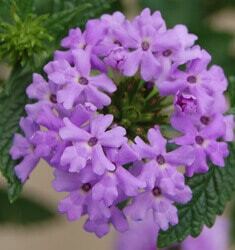 Vivid green foliage against crowns of rich, pale purple blooms that form masses of color. Blooms spring until fall.